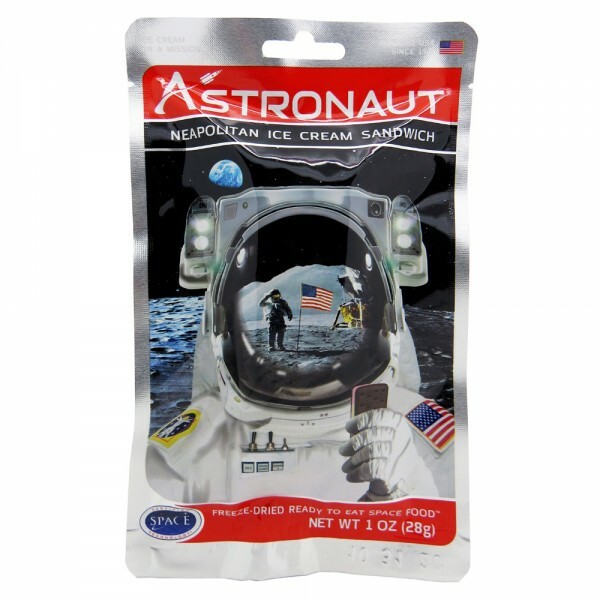 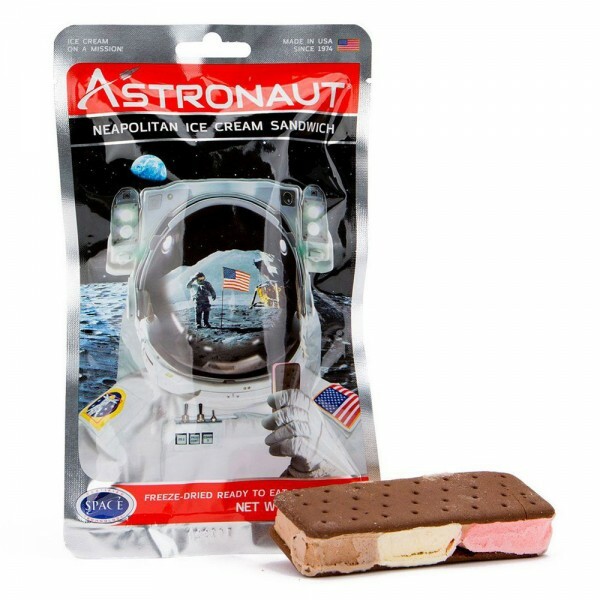 Astronaut Neapolitan Ice Cream Sandwich - spacekids - space toys, dressing up costumes, kids spacesuits, astronaut food, cool space stuff! Ice Cream; Milk, Cream, Sugar, Non Fat Milk, Corn Syrup, Whey, Cocoa processed with Alkali, Emulsifier: Mono and Diglycerides, Guar Gum, Locust Bean Gum, Polysorbate 80, Carrageenan, Artifical Flavour and E129 Annatto Color. 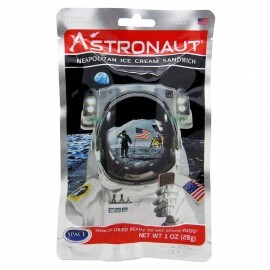 WAFER: Wheat Flour, Sugar, Caramel Color, Dextrose, Palm Oil, Corn Flour, Cocoa, High Fructose Corn Syrup, Corn Syrup, Modified Corn Starch, Salt, Baking Soda, Mono and Diglycerides, Soy Lecithin.